← Unicorns I love them…. 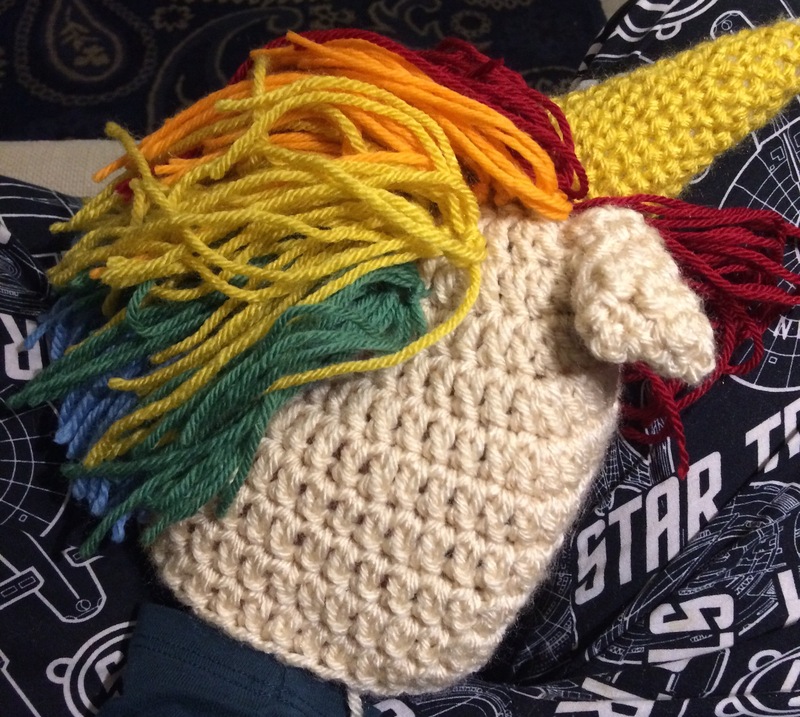 A rainbow mane takes a lot of time. And a lot of yarn. Two colors to go (or three, if I find some pink) !! !